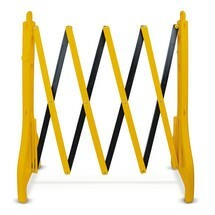 With its bright colours, this BASIC scissor barrier fence is ideal for enhancing safety in a wide range of locations. Thanks to its low weight, the flexible barrier can be carried by a single person and is erected in a flash. 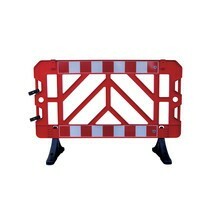 This robust and highly visible polypropylene barrier effectively and safely seals off areas. For good visibility, even in the dark, it is provided with reflective stripes and equipped with M36 screw threads for signs.